Kevin Burke's Blog - Technology ..... discuss! So we had a failed iSCSI target on our production DPM server and as the NAS unit was a bit old decided to upgrade it. New unit was installed and iSCSI Target was mounted and disk was added to DPM. We use radius – Network Policy Server (NPS) to authenticate wireless clients and wanted to create a custom view for NPS in Event Viewer in Windows Server. Sucessful and failed events are logged into the Windows Security Log, howevere there are other events logged in here which can make it time consuming to search through for just NPS events. Searching the internet gave a few interesting pointers but the problem seemed to be filtering by task category was not as straightforward as you would think. Because we planned to implement a new Hyper-V Cluster using Windows Server 2012R2 we had to move to SCVMM 2012 R2 but in order to do this one of the steps we needed to complete was Upgrading System Centre DPM 2012 to 2012 R2. I have detailed the steps I took below, there may be some differences for your specific configuration but you will get a good idea. So, in Office 365, how do you bulk assign licences to users. I had a search around and could only really find examples using CSV file imports, what I wanted to do was pull the information in directly from Active Directory. Whilst looking around I found the Get-ADUser cmdlet available through RSAT. This cmdlet pulls out information from AD relating to accounts etc. Using the -Filter command you can limit this to a specific OU. I have recently had an Office 365 and Exchange 2007 Mail Flow Issue for Sub Domain. We have our primary users on user.name@domain.com and have setup Office 365 to process mail for user.name@sub.domain.com . The setup for Office 365 went extremely smoothly (with a lot of help from a friend – you know who you are J.P.) and I have integrated Office 365 with our on-premise Active Directory using ADFS and Synchronization Service Manager for Single Sign On. However when a user, user.name@domain.com tried to send an email to user.name@sub.domain.com using the on-premise Exchange 2007 the mail was not delivered. User user.name@sub.domain.com could send email to user.name@domain.com without any problems, but again a reply from user.name@domain.com was not delivered. I recently had an issue where System Center Data Protection Manager 2012 was constantly reporting Replica Inconsistent on my Exchange Server 2010 Protection Group for the relevant Storage Groups, upon investigation I was pointed towards Eseutil as being a possible cause. Basically if there is a mismatch between the versions of Eseutil on the Exchange Server and on the DPM Server then the replicas will appear to be inconsistent. This can occur if you install a Service Pack on Exchange. This should then solve the Replica Inconsistent problem, after a Consistency Check. 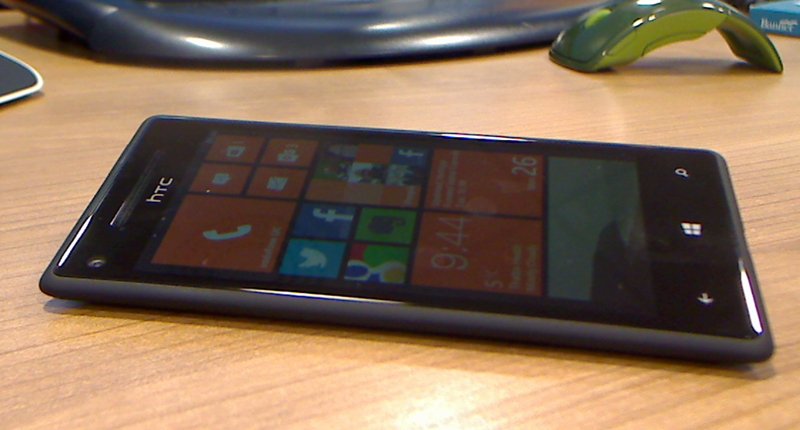 I have just upgraded my HTC Radar Windows Phone 7.5 (reviewed here – http://wp.me/p21EuP-40) to a nice new HTC 8x Windows Phone 8 and thought I would give it an initial review. Upon unboxing HTC’s latest smartphone and toe in the Windows Phone 8 marketplace I was very impressed with the sleek design – I went for the Black version as it is all one colour and is more discreet than the brightly coloured versions. You will first need to connect to your Nortel WSS 2382 (WSS). I recently came across a strange situation where the System Center VMM 2012 Admin Console crashes every hour. I checked the SPN settings using Setspn. I checked and changed how the SQL and VMM Manager and Agent Services log on.